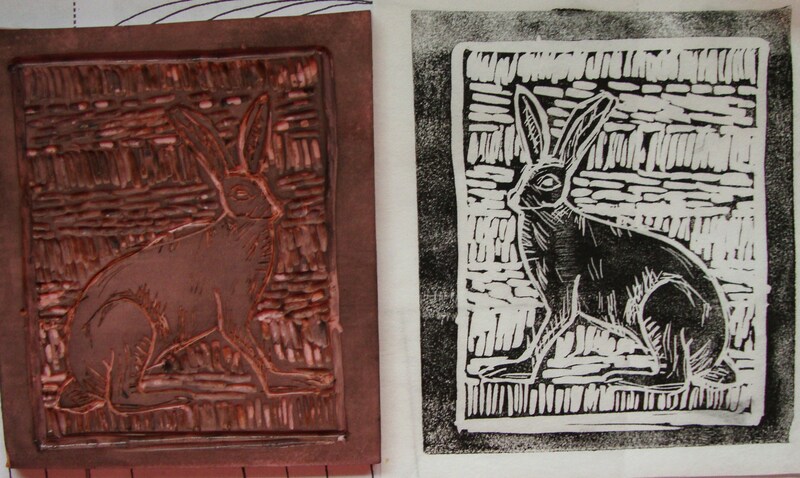 I’ve been trying my hand at stamp making by carving the stamping material rubbery stuff called “easy-cut” or “quick-cut” made by Speedball. 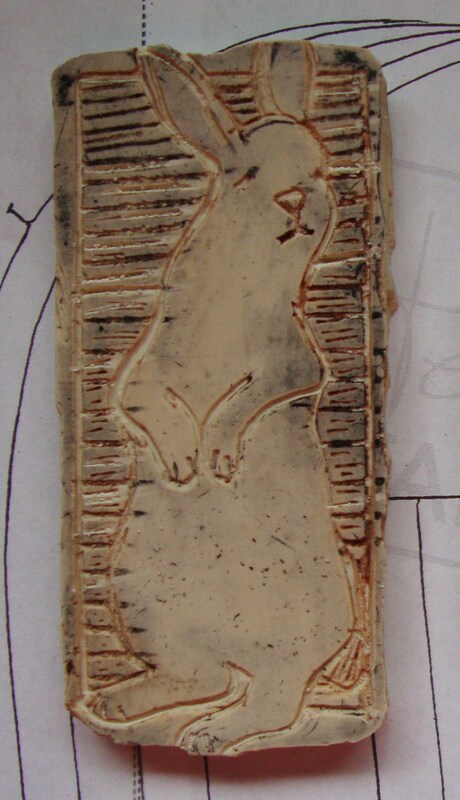 Its very simple really just draw something onto the rubbery stuff and then use a small tool to carve out the lines! Pretty easy! 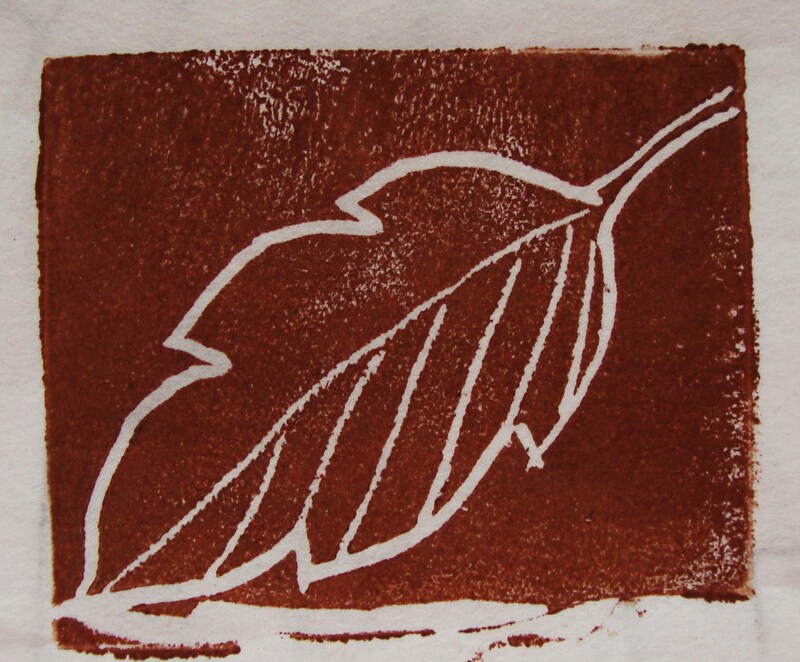 This is the actual carved stamp. 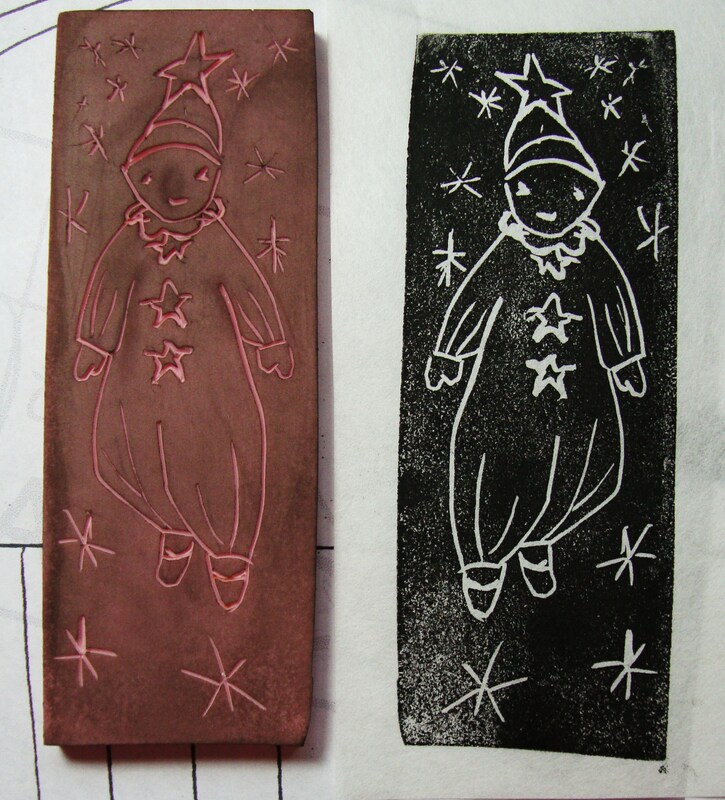 I used both types of carving material and this one is the white kind and it is very crumbly as you carve – but the crumbles seem to add a little depth to the stamped picture. These are the tools I used. You can see the different sized blades. 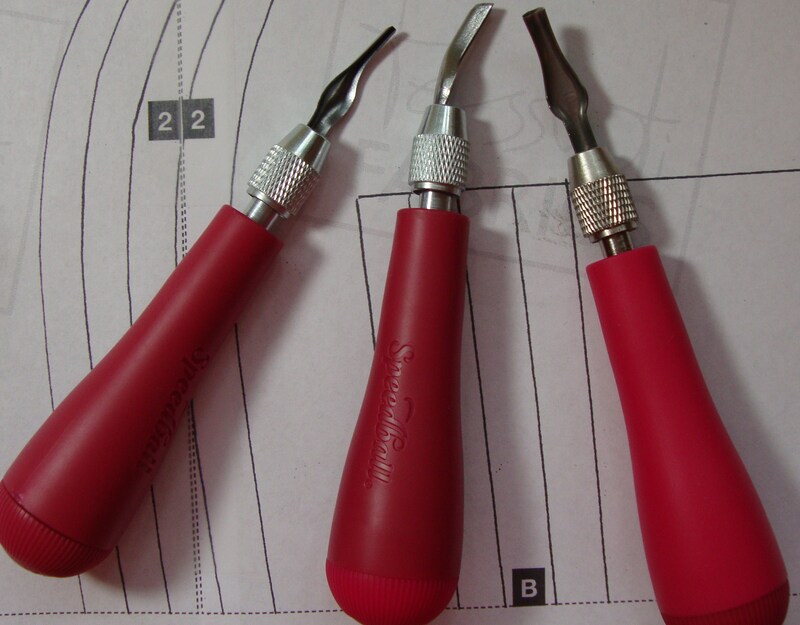 These tools come with a set of blades in the handle, and you just unscrew the plastic cap on the end to take them out. The fit into the other end which has a chuck that you can inset the blade into. I didn’t want to keep changing the blades so I got three sets and I can just leave them set up to go. 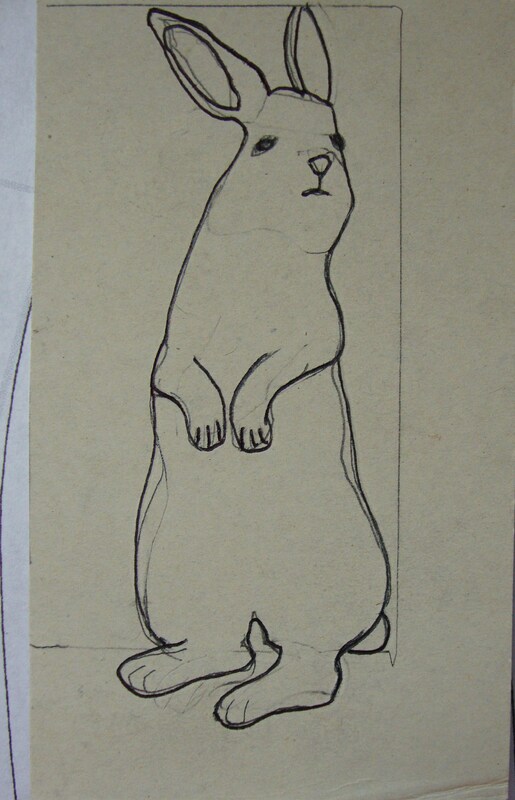 This was my original drawing for the standing bunny – nothing complicated! I used the pink material for the duck. Its much firmer, and doesn’t crumble. Its very smooth. 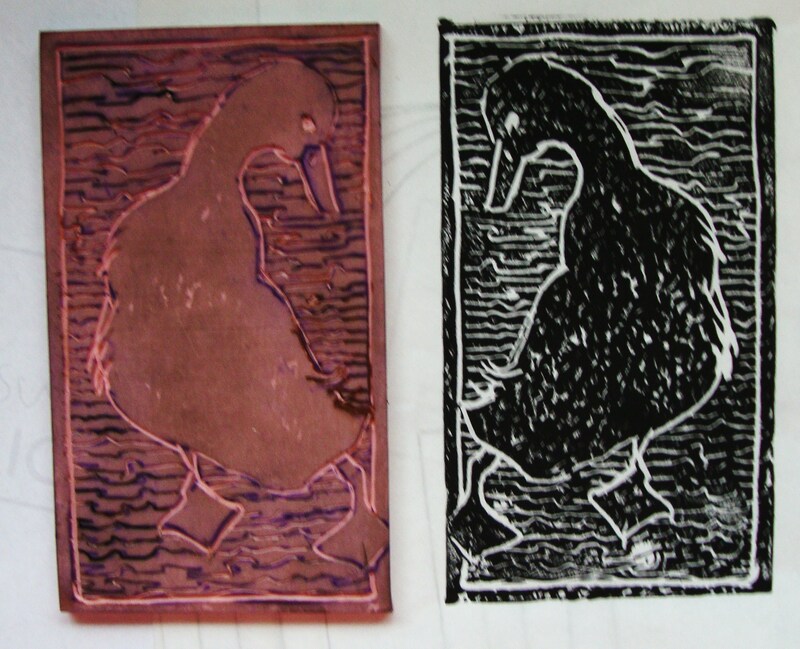 The pink is the stamp, the image on the right is the printing of the stamp. I just spread some Speedball water based print ink on a plastic pallet, put the stamp on it face down, and then lifted the stamp and lay a piece of printing paper over the inked stamp and pressed it with my fingers. A funny little star clown! 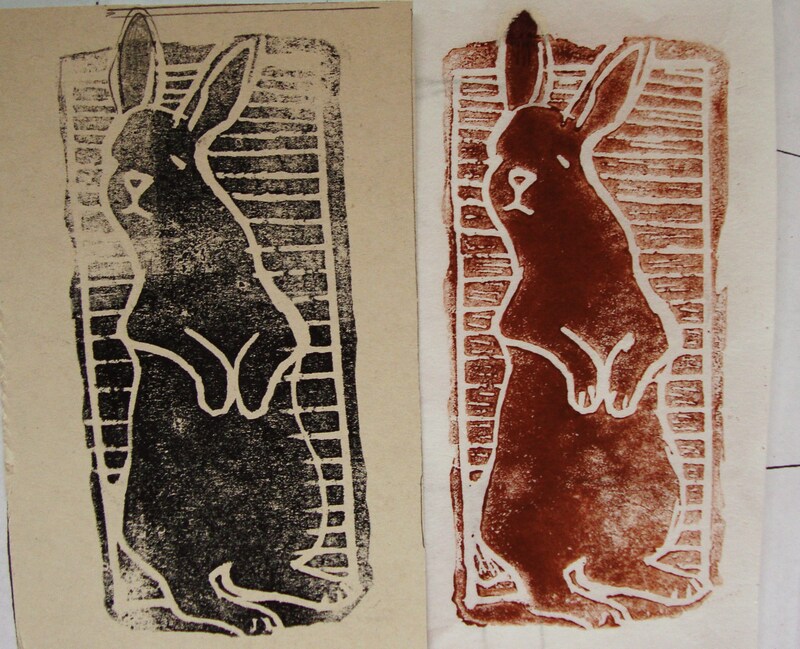 Jack Rabbit. This one with more lines, some carved background, getting fancier here! A very simple sunflower. 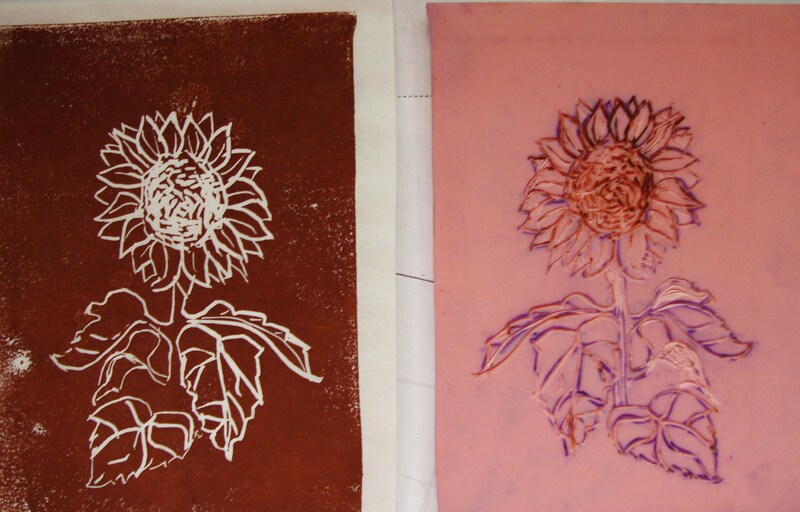 I didn’t carve any background lines and I can go back in a cut away the plain space and turn it into just a sunflower stamp by itself, no background or block around it. A simple leaf shape which I intend to carve away the space around it to make it just the leaf shape by itself, and then it could be used as a border on a journal page or something like that.